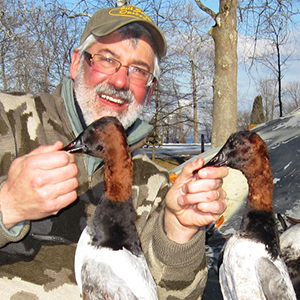 The team at Bill Saiff Outdoors sets the standard in Lake Ontario fishing and Atlantic Flyway Waterfowl hunting! We are Ambassadors for the outdoors 1st and outfitters 2nd. We are a “Full Time” operation offering the absolute highest level of coordination among its guides and captains. This cumulative knowledge has no equal in this part of New York State. Techniques that we developed in our 30+ years in the outfitting business are now standard procedure for other guide groups! We have consistently “pushed back the boundaries” in great lakes fishing and our “World Class” instruction has taught legions of sportsmen new and improved ways to pursue waterfowl. The vertical integration of Bill Saiff’s Westview Lodge, gives us the opportunity to provide our customers with “one stop shopping”! Once you arrive at our door, you will find everything you need conveniently located within walking distance. We are a highly trained group of individuals whose main concern is customer satisfaction. Please read our testimonials and view our extensive assortment of photos. When you are done, please call us regarding your next trip! We want to book you as a “Client” and shake hands with you at the end of the day as a “Friend”. Bill Saiff Jr. is best known as the host of television’s popular fishing series “Rod & Reel”. The “Rod & Reel” series aired across the U.S. and Canada on public television stations. Bill’s background is in communications with a storied career in both commercial television (CBS) and public television (PBS). His groundbreaking programming (through PBS) spurred a high level of interest in Lake Ontario fishing. While he traveled the globe, the eastern basin of Lake Ontario is what he liked best. In the 1980’s he coined the phrase “Golden Crescent” which has since become a marketing trademark for the eastern basin of Lake Ontario. This promotion resulted in millions of dollars in tourism monies for the Seaway Region of New York State. Now retired (President and General Manager of WPBS), Bill devotes all his time to fishing with clients aboard his charter boat the “Rod & Reel”. A full time Captain in the Saiff Charter Fleet, he is instrumental in the marketing, organization and the further development of the Bill Saiff Outdoors Brand! To fishermen in the eastern basin, he is known as the “Master”- fish with him and you will see why! 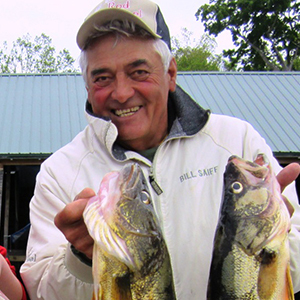 Bill Saiff III is the owner of Bill Saiff Outdoors which includes: Saiff’s Fishing Charters (Lake Ontario Sportfishing), Seaway Waterfowl Professionals (Atlantic Flyway Duck & Goose Hunting) and Hard Water Ice Guides (Ice Fishing-Lake Ontario/St. Lawrence River). In operation since 1982, Bill has set the bar for outfitting on eastern Lake Ontario. Bill is a graduate of Clarkson University with degrees in Marketing and Business. For 18 yrs. He hosted the popular hunting and shooting sports program “Cabin Country” as seen on Public Television stations across the country. Bill also owns the WESTVIEW LODGE in Henderson Harbor, NY. The Westview is the backdrop for Bill Saiff Outdoor’s operations featuring a hotel, restaurant and full service bar. Bill continuously expands the outfitting business at BSO through his industry connections, multitude of properties and highly trained staff. This high attention to detail has served to make BSO the “Gold Standard” in outfitting in New York State.